The History of Dinosaurs, well, it will be a long story to tell you about the complete dinosaur story, but we have gathered it for you. If you think that Dinosaurs were big, ferocious, fierce and awesome, well, that’s true, but there are so many misconceptions. Dinosaurs came in all sizes and shapes, and we know that Dinosaurs were the largest animals ever walked on the Earth, but facts, a great number of dinosaurs were smaller than a turkey. 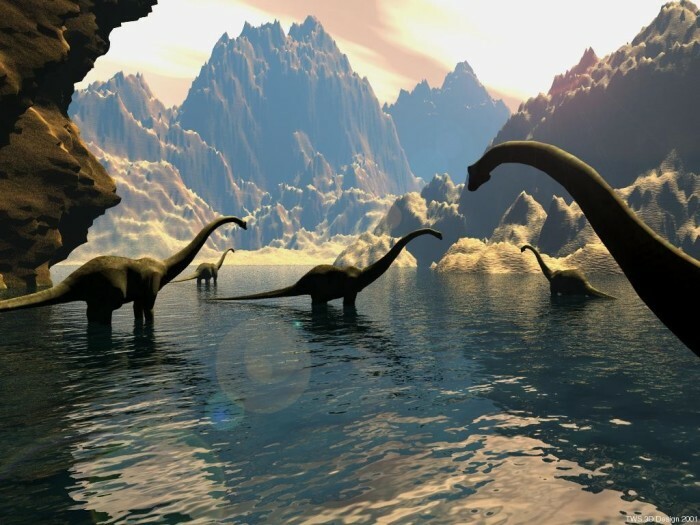 We went back to 230 millon years ago where Dinosaurs first appeared. 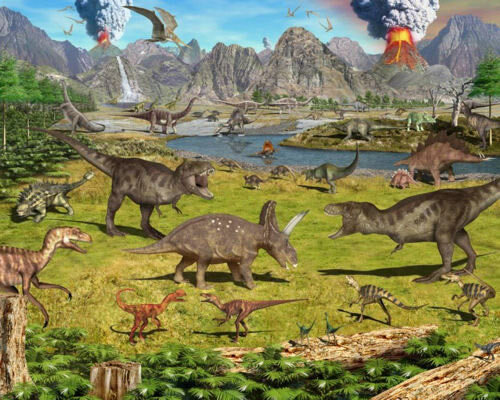 As we know, Dinosaurs were the most successful creatures that ruled the Earth for about 135 million years to 65 million years ago, when meteor hit the Earth and make them extinct. Most experts believe that birds are living dinosaurs. Scientists found that some Dinosaurs had feathered on their body, although many of Dinosaurs can’t fly. Archaeopteryx was known as the first bird. Some people said and think that flying reptiles are dinosaurs. No, reptiles aren’t dinosaurs. In the common case, we usually called pterosaurs (pteranodon, pterodactyl family) as dinosaurs. The Pterosaurs were dinosaurs’ closest family, but they weren’t dinosaurs at all. 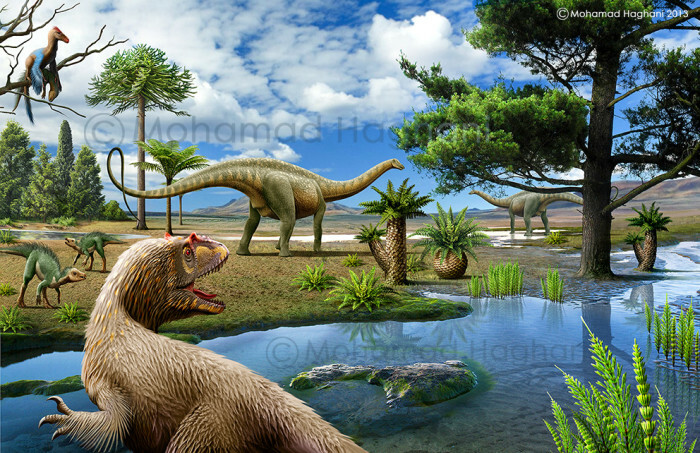 Dinosaurs fossil was firstly found in the 19th century. Richard Owen coined the term dinosaur in 1842, taken from Greek words, Deinos mean “terrible” or “fearfully great” and sauros meaning “lizard or reptile”. Scientists divide dinosaurs into two types – the Ornithischians and Saurischians – you can read the explanation here. There are also so many reptiles underwater. The fish flippers, Ichtyosaurus was one of them. Most of this kind of dinosaurs were extinct at the end of the Jurassic Period.